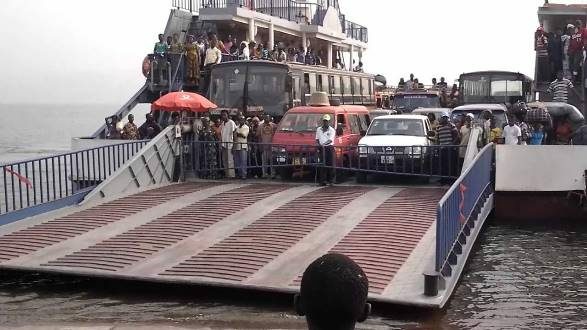 Mr. George Ofori, the Afram Plains South District Chief Executive (DCE) has hinted that government would soon construct a bridge over the Afram River to help reduce the strenuous way of travelling to the Afram Plains. Addressing a Town Hall Meeting at Tease, the DCE assured the people that Government was determined to extend development to the area by starting with the construction of a bridge across the Afram River. He said a team of engineers from China and Norway recently conducted feasibility study on the project and the outcome was positive. President Nana Addo Dankwa Akufo-Addo during the 2016 campaign promised the people in the Afram Plains about his resolve to construct the bridge across the River Afram to help abate the frustration and difficulties people go through when travelling on it. This, he said would pave way for the progress of communities in the area. Mr Ofori applauded the government for the various interventions put in place and the dedication of the Assembly to see to the success of those interventions and said, the assembly had received a total of 9,020 bags of NPK, 4550 bags of Urea and 540 bags of seed maize under the planting for food and jobs programme. “However only 6,774 bags of NPK, 4,500 bags of Urea and 213 bags of seed maize were distributed to farmers per request received,” he said. He noted that as part of the ‘One District, One Factory’ programme, the assembly had earmarked ethanol production because of the abundance of cassava in the district and site preparation was going on for the project to start. The Town Hall Meeting, an initiative of Information Services Department seeks to give members and leaders of the various communities the opportunity to discuss progress and emerging issues in both central and local government. It is also to update the people on major government policies and programmes and to obtain feedback from the citizenry for the development and governance process across the nation.